Renovation of the historic lobby at One Winthrop Square in downtown Boston. The goal was to modernize the lobby while keeping the original historic elements and design intent. This was achieved through the reuse and restoration of period details combined with modern materials reminiscent of historic Boston architecture. 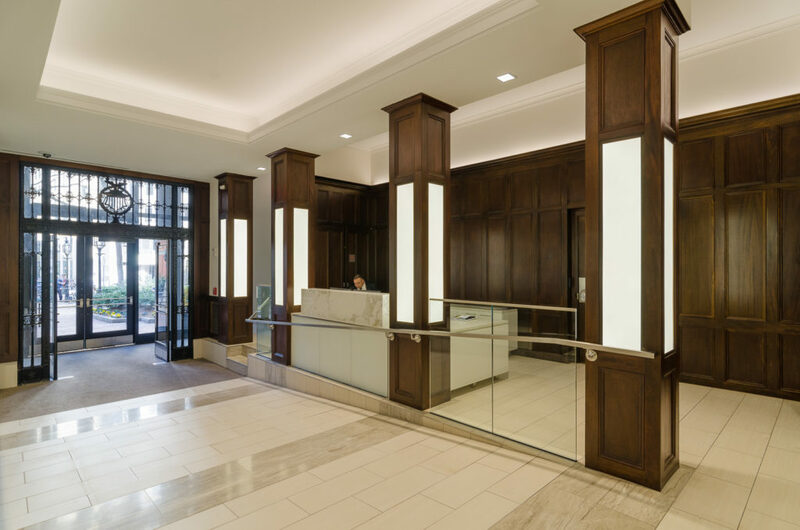 The lobby’s atmosphere was transformed by the meticulous restoration of the original millwork and the installation of contrasting tile floors and LED lights. 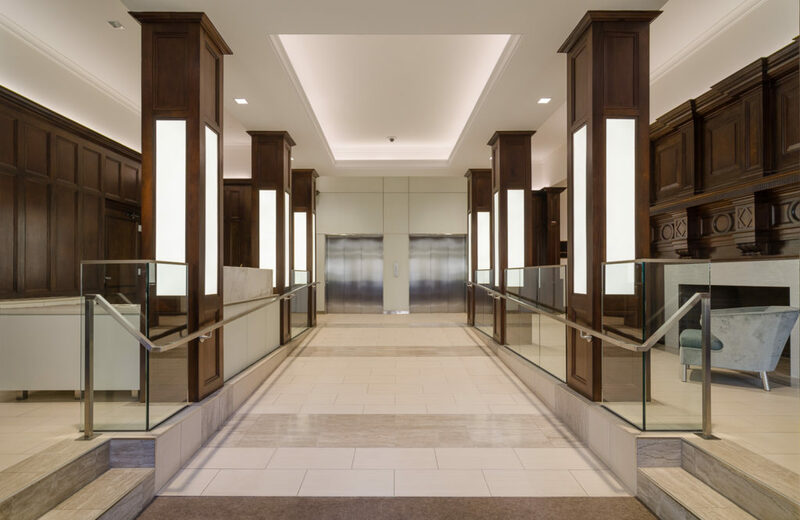 New HVAC systems were installed in the vestibule and lobby, and elevator finishes were refreshed. 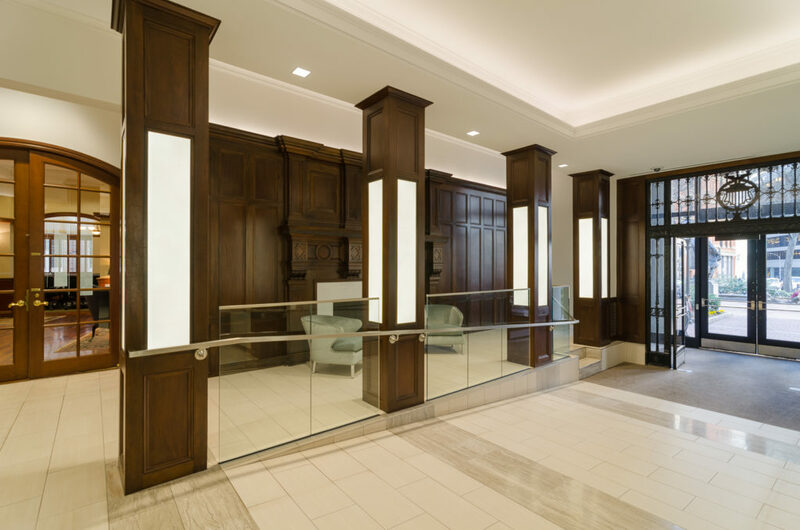 This project was executed in an occupied building while the lobby remained fully operational.